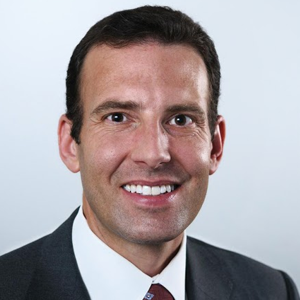 CRM being a rapidly moving industry, Larry Augustin, CEO, SugarCRM says “The next wave of CRM is in helping individuals do their jobs automatically.” This means arming customer-facing professionals with tools that offer information to figure out their next moves. The CEO also believes in helping not just the sales, but also marketing, customer service and support—all people and processes in a company interacting to help serve the customer better. “One of our views is that CRM needs to help a company manage the full customer lifecycle across the business,” adds Augustin. With this ideology, SugarCRM—a provider of flexible and affordable CRM solutions, places individual users at the center of its CRM solution, powering individual-to-individual “i2i” connections between employees and customers. This way the company enable people at all levels of the organization to better understand and personally engage with customers over the entire customer journey. SugarCRM enables businesses to create extraordinary customer relationships with its innovative CRM solution, which is not possible through conventional solutions as they are too cumbersome, inflexible to be transformed according to individual business needs and are expensive. Overcoming these shortcomings of traditional CRM solutions, SugarCRM delivers a fully transformed, personalized user experience that is immersive, engaging and intuitive. The company fuses the simplicity, mobility and social aspects of a consumer app with the business process optimization of conventional CRM. Designed with the individual in mind, the company’s SugarUX presents a sophisticated and immersive interface that enables employees to effectively engage with customers regardless of their access point or device. The collaboration tools embedded in SugarUX helps in breaking down the departmental silos and accelerating engagement and service levels. Providing contextual intelligence from internal and external data sources— all within a single dashboard, the solution drives more actionable insights for every user. On engaging with SugarCRM, the innovative user experience is not limited to out-of-the-box features. For example, SugarCRM Mobile enables users to create highly intuitive, custom mobile experiences—from anywhere. The company offers a wide range of deployment options for on-premise and cloud, and is one of the highly customizable CRM platforms based on open technologies. Whether the solution is deployed onsite, in the cloud, or On- Demand, Sugar offers the same level of functionality, customization and integration with third party systems and tools. With Sugar platform, users can gain an extensive level of flexibility needed to create differentiated and effective CRM strategies. In one instance, Marathon Sports— one of the largest sportswear and athletic equipment retailer wanted to leapfrog competition by building deeper relationships with its customers. For this, Marathon Sports wanted to transform its database with more than one million customer ID numbers into a rich resource to drive increased excitement, sales and loyalty. The firm collaborated with SugarCRM and implemented Sugar software as a central hub for customer data and to automate key business processes to drive customer loyalty programs, cross-sell and upsell, event marketing with SMS invitations. As a result, the database of more than a million customer names got expanded and enriched with contact information and preferences leading to increase in customer purchases and customer retention. Sugar empowers employees with the right information at the right time to seamlessly guide their customers through every phase of their journey, improving business efficiency, performance and customer satisfaction. “What is important though, is tracking and organizing all the valuable information consumers provide, and organizing that information to streamline the customer experience. These days, customers won’t stand for anything but an extraordinary experience,” concludes Augustin.